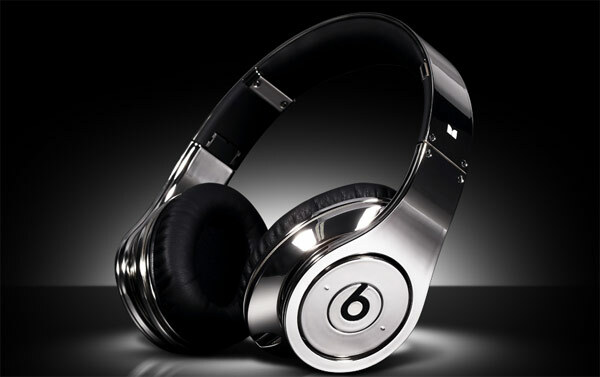 Now, you’d think ColorWare would be working furiously to release some flashy iPad 2 tech gadgets, but that’s not what we’re getting today — instead we now have a pair of Monster headphones to complement that ever-so-necessary neon Dyson Air Multiplier we assume you’ve already added to every room in your tastefully decorated mansion. These very limited edition ColorWare “Chrome Beats” headphones don’t actually have any color, but they admittedly do look pretty slick, excepting the $1,000 price tag necessitated by this perfect storm of overpriced branding. ColorWare is only decking out 50 of these ‘cans, so grab that platinum card and head over to our source link to get your pair. Panasonic has just announced the AG-3DP1, a new camcorder designed for shooting movies in 3D. The shoulder-mounted camcorder packs a 3D twin-lens, and is designed for users planning to shoot 3D tech gadgets of live events, sports, documentaries and independent films. The AG-3DP1 packs 2 1/3″ full-HD 2.2 megapixel 3-MOS images with enhanced sensitivity, a 20-bit Digital Signal Processor for generating full production quality, native 1920 x 1080 resolution images. The camera also captures 3D footage directly through the dual-lens, without the need for any external equipment or post processing – it is possible to just shoot and cut footage from the camera to make a 3D movie. With functions like variable frame rate to create fast and slow motion effects, users can get creative with the camera itself. 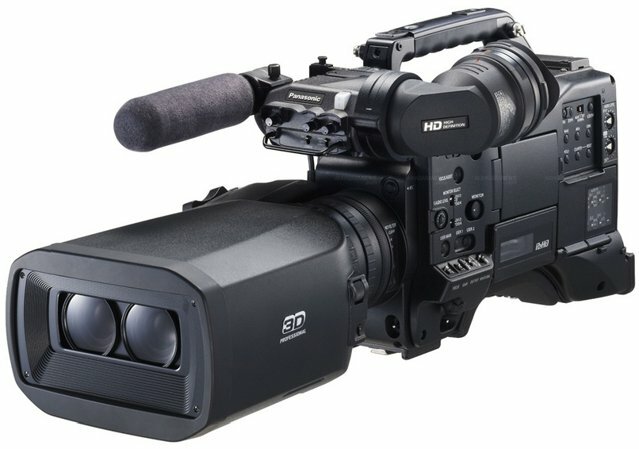 The lenses of these tech gadgets can zoom up to 17x and the camera records up to 80 minutes of footage on dual 64GB P2 cards in AVC-Intra 100 1080/24pN and a 3.2″ LCD display for previewing recorded footage rounds things off. No prices have been announced but we can expect to see the 3DP1 on sale in autumn this year. With 3D cameras becoming more accessible to everybody – you can expect a lot more 3D movies to start popping up in the future, especially in the indie movie scene. Word out of NAB is that Matrox, known best for enabling day-traders to run an excessive number of monitors off a single graphics card, will be the first company to market with peripherals designed to use Thunderbolt. 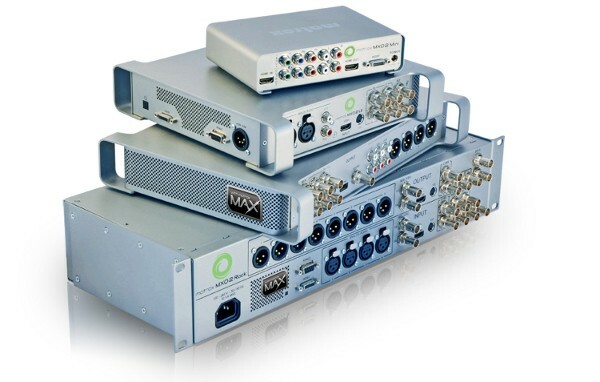 All the latest models of its MXO2 family of video I/O boxes will be shipping with Thunderbolt on board, while budding film makers using the current gen MXO2 tech gadgets will be able to push 10Gb worth of pixels per second by picking up an adapter. Matrox didn’t announce a firm release date or price, though we expect it will fall in line with the current products, which range from $449 up to almost $2,400 for the MXO2 Rack with Matrox Max. They’re not exactly must have accessories for the average user, but if you simply can’t wait any longer to put those Thunderbolt ports to use, it’s the only game in town. It ain’t a mind-bending concept, but the Keyport Slide solves a problem that far too many humans have. Put simply, this multi-key tool allows users to store both key imprints and digital files in a single tech gadgetsand for those on the hunt for something to match their Sunday best… well, look no further. The outfit has just introduced a foursome of new Slide colors: Gunmetal, Zircon Gold, Copper, and Champagne. Starter bundles are still listed at $79, and if you believe the outfit’s CEO, there’s “much more on the horizon.” You know, like the initial shipments of its $10 Mini-LED, which was also revealed today. Tap that source link if you’re gushing with joy (and we know you are). 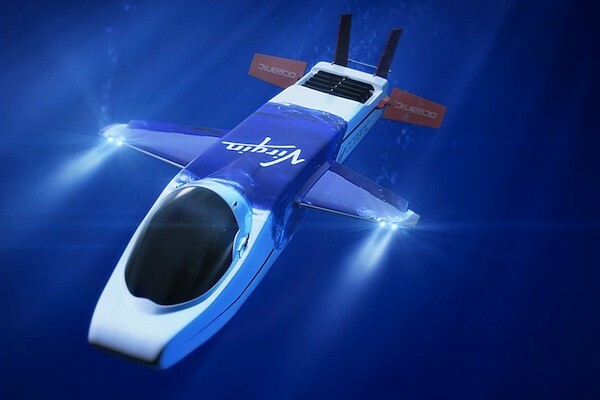 Sir Richard Branson may have already branded his Necker Nymph aero submarine with the “Virgin Oceanic” moniker tech gadgets, but he’s now finally taken things to the next logical (and ambitious) step. He’s just announced a new, full-fledged venture of the same name, which promises to do to nothing short of dive to the deepest part of each of the Earth’s five oceans — all within the next two years, no less. That will be done with the one-manned sub pictured above, which was designed by Graham Hawkes and will be piloted by Chris Welsh on its first dive to the bottom of the Mariana Trench later this year — those two are Branson’s partners in the venture, and Branson himself is set to pilot the sub on its second mission to the Puerto Rico Trench tech gadgets. Not surprisingly, one of the team’s goals is to set a few world records, but they’re also planning to conduct some scientific research along the way, and are already musing about future vehicles that could collect samples and allow for more extensive research. Head on past the break for a teaser video, although we’re told it should not be assumed to reflect an actual mission. You might expect a car with the word “beak” in its nose to have something of a pronounced proboscis. Not so. 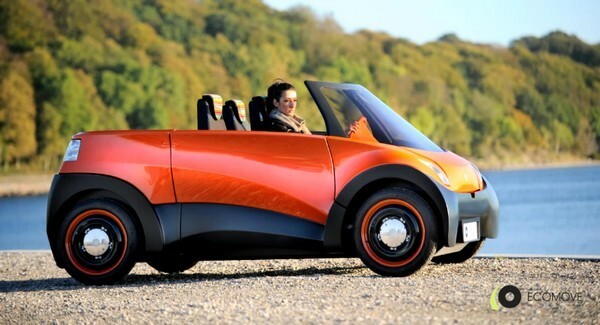 It’s the ECOmove QBEAK, a little, orange, all-electric car that’s now been shown in the actual flesh in both coupe and convertible form. The car seats an odd number of people, three or six depending on configuration (something we definitely like), yet is smaller than a Smart Fortwo tech gadgets. It does this thanks to motors that fit in the wheels and composite suspension that’s much more compact than your average strut setup. Range is up to 300km — 186 miles — but at this point we don’t know much more about when this tangerine dream might be rolling into showrooms for real. Video of its unveil below. 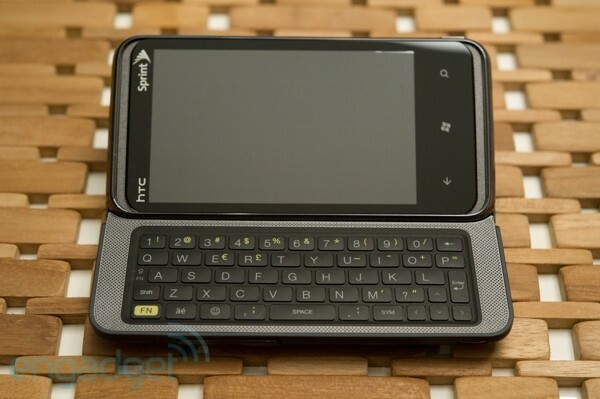 Earlier this year, HTC allowed its previously Verizon-exclusive brand name out to prowl the globe with the Incredible S, and now it’s doing the same with the heretofore Sprint-only EVO moniker. The EVO 3D tech gadgets, says a tweet from HTC’s French mouthpiece, are coming to the land of baguettes, stylish mustaches and stripy pullovers, though a little bit of mystery remains as to when exactly its arrival shall be. 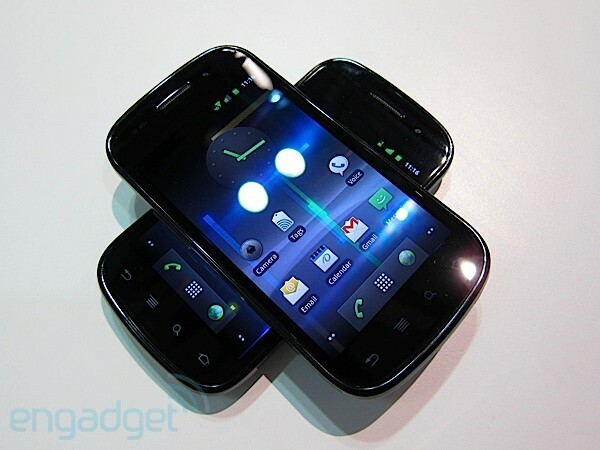 Whatever the schedule (the EVO 3D’s set for a “summer” release in the US), the rest of Europe’s unlikely to be left out, meaning a 4.3-inch superphone with a 1.2GHz dual-core processor, 1080p video recording in 2D and 720p in 3D, HTC’s newest Sense skin and Android’s freshest Gingerbread build, is headed out to the Old Wold. And that, fellow pilgrims, is a mighty awesome thing indeed. 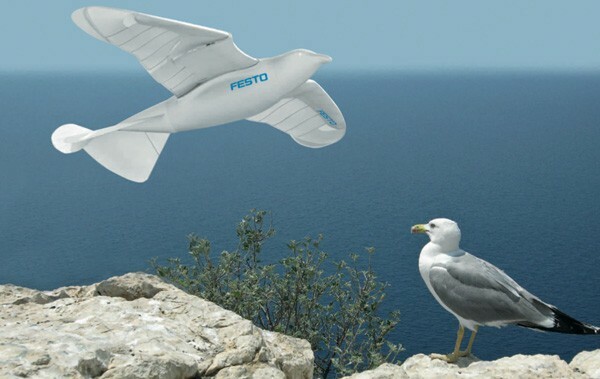 The geniuses at Festo’s Bionic Learning Network are well known for their fascination with robotic animals, and their latest creation is no exception. Dubbed the SmartBird, this autonomous bionic bird — modelled on herring gulls — graces the sky with its sophisticated two meter-long wings, which utilize a bending torso for lifelike directional control. What’s more, this tech gadgets is also capable of taking off and landing on its own, but it can also be controlled and monitored from afar using ZigBee radio. Amazingly, all of this round up to just one pound, meaning the SmartBird can happily float about with moderate flapping. Jump past the break for some agile in-flight action, accompanied by an animation detailing the inner workings.